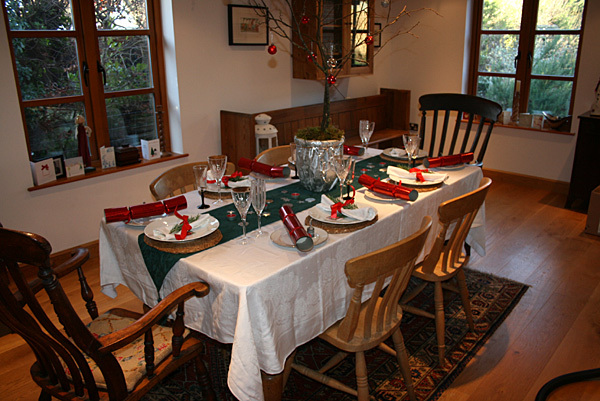 It’s just four weeks to Christmas and I’ve been busy making a few Christmas trees in the workshop! 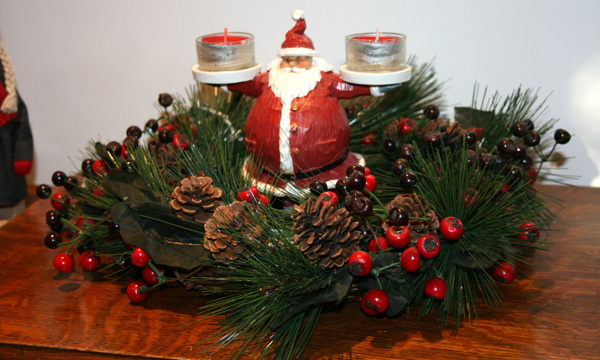 I’ve always had a fascination for homemade decorations ever since my mother used to take me to the Christmas market in Nuremberg. So many happy memories … especially the wonderful aroma of smoked sausages on what I remember as a massive grill along with stalls full of wonderfully crafted Christmas delights. So I got to thinking … I wonder if any of my readers would like to own their very own handmade Christmas tree? The largest trees are approximately 125 millimeters high and 60 millimeters wide. (5 inches by 2.5 inches) and handmade in my workshop in Hampshire England. To order your very own Christmas tree simply hit the link below and enter ‘Christmas tree’ in the email subject line and we’ll drop you a note back with details of the prices and any associated postage costs. I was thinking earlier today just how lucky we are to have our hobby’s. They really are the perfect antidote to the stress of the daily grind i.e. work. I have the garden which is fab of course, but it’s about this time of the year my attention shifts from the garden to indoors … or inside the workshop on my lathe to be more precise. It was about 7 years ago when I met my woodturning friend Stuart through a friend. 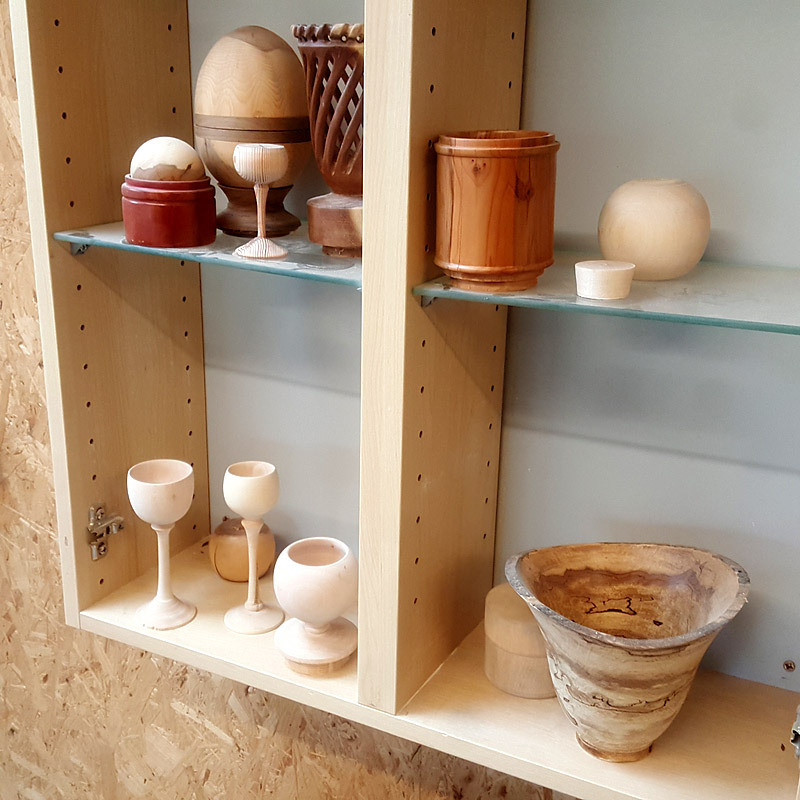 Stuart is an extremely accomplished wood turner and what he doesn’t know about woodturning you could get on the back of a stamp! He’s also a thoroughly nice bloke. When I met him he was in the middle of making a few items for a special event. After a long chat and several cups of tea I knew I needed to give this woodturning thing a go. If only I could reach a reasonable standard perhaps I could make a few things for the house? It certainly sounded like a lot of fun but potentially dangerous fun so I’d definitely need some guidance on the health and safety side of woodturning. I seem to remember doing a bit of wood turning when I was at school when I was studying for my CSE’s as they were then (barely studied at all to be honest). My class were 5C and for those of you that may remember the 70’s we had a TV comedy show in the UK at the time called Please Sir which was about a gentle teacher (Smiffy) and his somewhat boisterous class of adolescent teenagers who were also called 5C. I seem to remember there were striking similarities with my class, but one thing I do remember is I really enjoyed woodworking with Mr Woodward (yes that really was his name). I still have fond memories of making the obligatory fruit bowl on the old school lathe. Great times … life was so much simpler in those days. Anyway … Back to the present and after much thought, I jumped in the car and headed off to Axminster Tools and bought me a small hobby lathe and at the same booked me a couple of lessons with Stuart. It took me about a year to become proficient to the point where I was confident and safe and it was about another year before I finally got around to making something I thought worthy of bringing into the house. This is the first finished piece I made for the house. 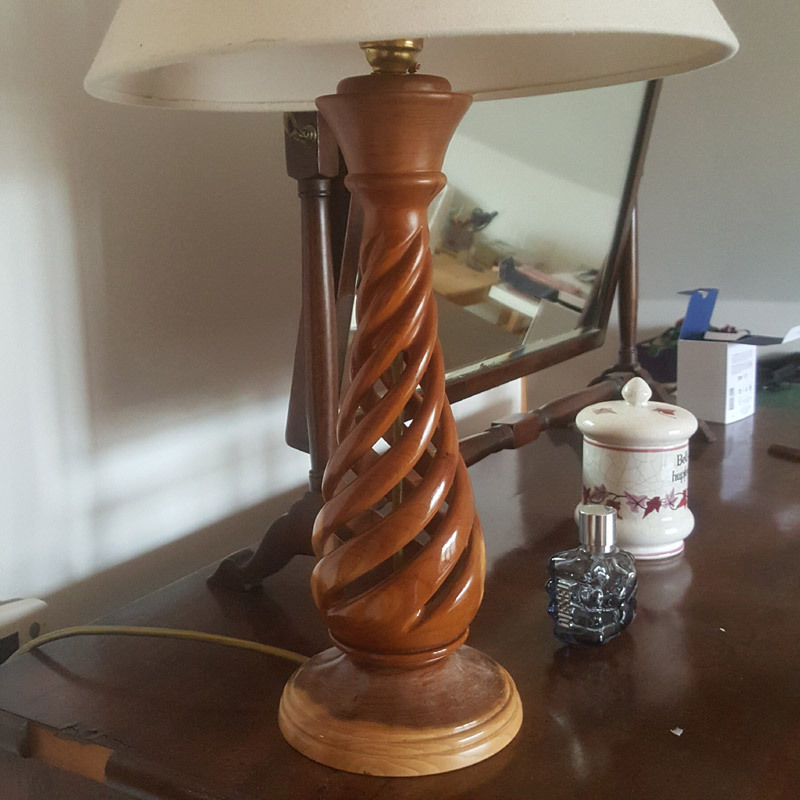 It’s a bedside lamp I made for Tania from a piece of English Yew which still has pride of place. It has a slightly unusual twist pattern which I think gives it a kind of unique look and presented a few challenges when I was making it. 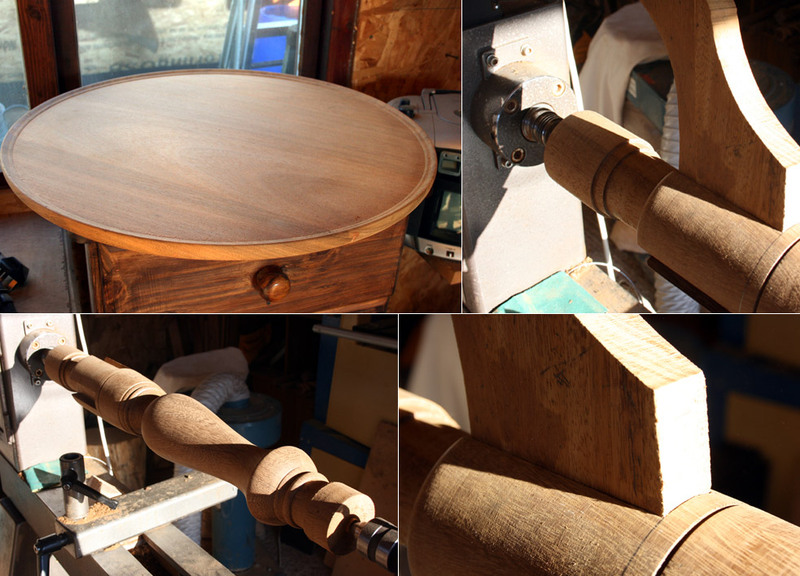 It’s functional which is pretty much what I try to achieve with everything I make on the lathe. Take this table I made a few years back. 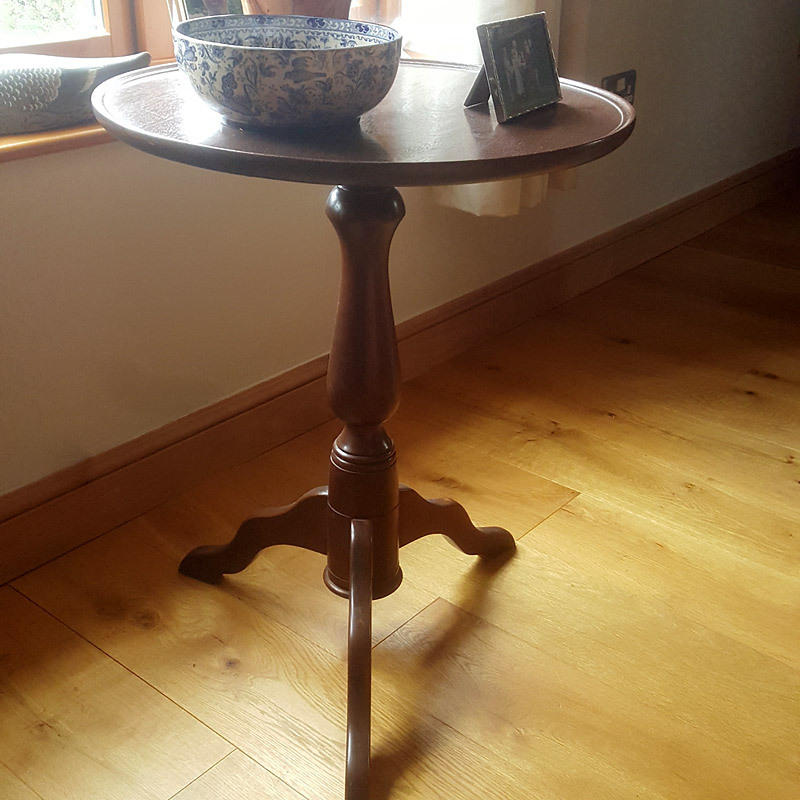 It’s made from a couple of mahogany table tops that the local school were throwing away to make way for a new classroom. Absolutely nothing wrong with the wood. All it needed was a little care and attention. 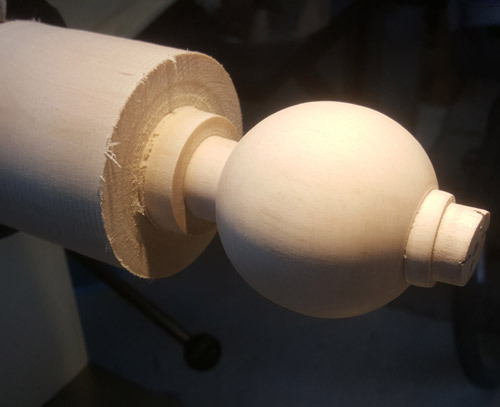 The top of the table and the stem are turned on the lathe and the legs are made using a band saw to cut the sections and regular hand tools to achieve the finished shape. For the top I took 2 boards, planed them flat and glued them together to get the extra width I needed for the top. I cut a rough circle shape on the band saw and then mounted it on the lathe to get the perfect circle and to add the edge detail. It turned out ok in the end … and to think the wood nearly ended up in a skip! I’m planning to make a few Christmas presents on the lathe this year. I’m thinking Christmas tree decorations. I can make them on the lathe using the branch thinnings from the beech tree which we removed in the summer and use some wood dyes to add a little colour. I just need to remove the wood from the inside or I can’t see them hanging on the Christmas tree too well! I might attempt to paint a nativity scene on the side or persuade my mother in law as she’s learning to paint at the moment. I’ll keep you posted as they progress and probably post a few pics if they turn out ok.
Just a short note to wish you a very, very merry Christmas and may you receive all you wish for in 2014.